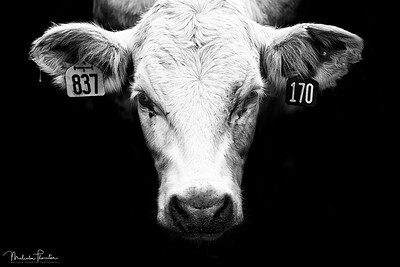 Images of Domestic and Farm Animals. 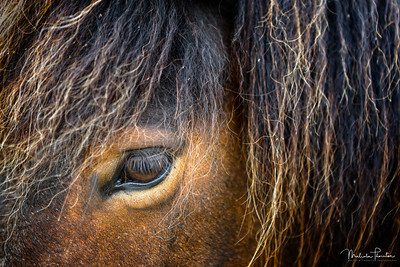 This stunning Icelandic Horse was more than happy to meet my acquaintance as he came right up close to my camera for a little affection. 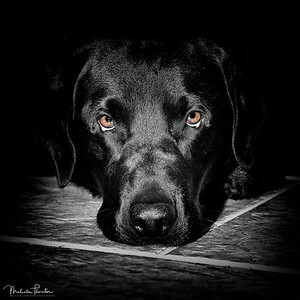 I am always taken back by the gentleness and trusting nature of such large and powerful animals. 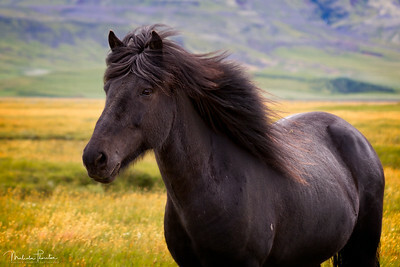 The Icelandic Horse is one of the most beautiful and purest breeds of horse in the World. Since 982 AD Iceland has forebade horse imports into the country, and once an Icelandic horse leaves, it is never permitted to re-enter the country. Image taken in Southern Iceland. 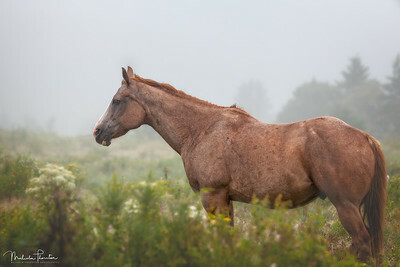 American Quarter Horse standing in a misty field on a wet rainy day in Hopewell Cape, New Brunswick. 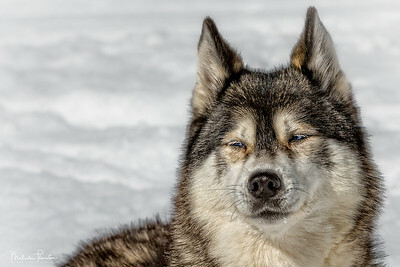 A Domestic Alaskan Malamute enjoying the snow and cold temperatures during a Muskokan winter festival. 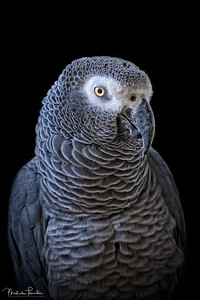 The African Grey Parrot is one of the most talented talking/mimicking birds on the planet, and an excellent companion. I have long wanted one. 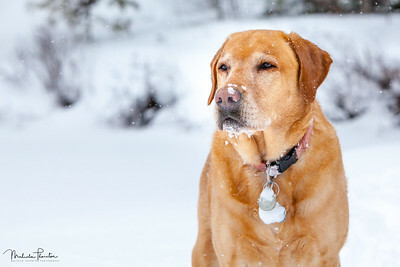 My Labrador Retriever enjoying a day in the snow up at our cottage. 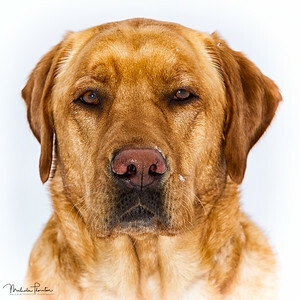 A Portrait of my Yellow Labrador Retriever Tia.